Whether you're going to make a journey or a trip, the free Google Maps with Navigation for Android can be of great help because it has one of the most up to date and detailed maps of the industry. En route, the Google Maps interface has very little to blame, it is well thought out and brings on what's necessary to make you reach your destination without issues. However, the management of the destinations is still a bit tedious in the (relatively) small screen of your smartphone. 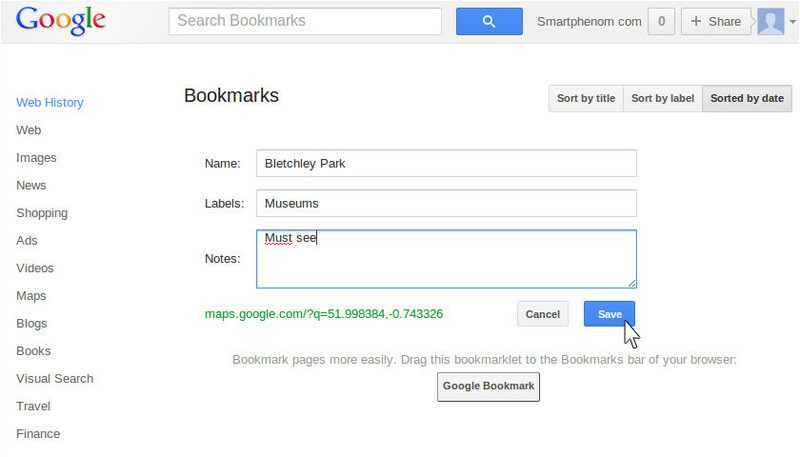 To start with, you must load Google Maps on your PC browser (google.com/maps) and make sure you're signed in with your Google Account (the same that you have on your smartphone). Then just search for your destination as usual. 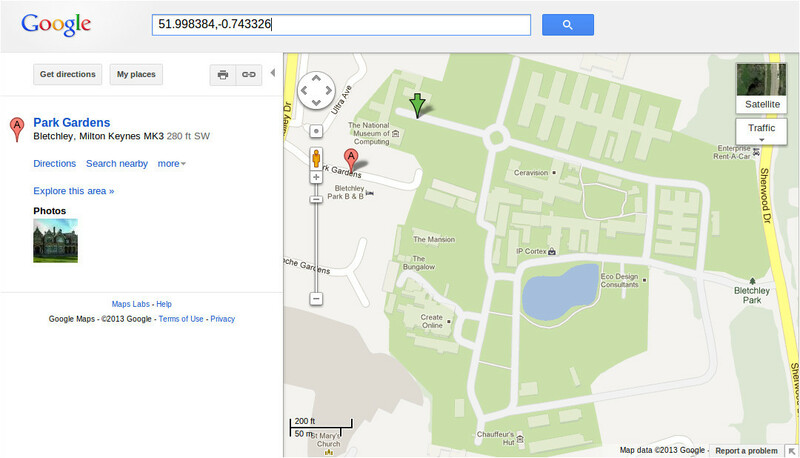 Don't worry if you don't know the exact address of the place (just type in the information you've got). In this tutorial, I'm going to manage a POI for Bletchley Park, where I intend to visit the National Museum of Computing (The Bombe, here I come). 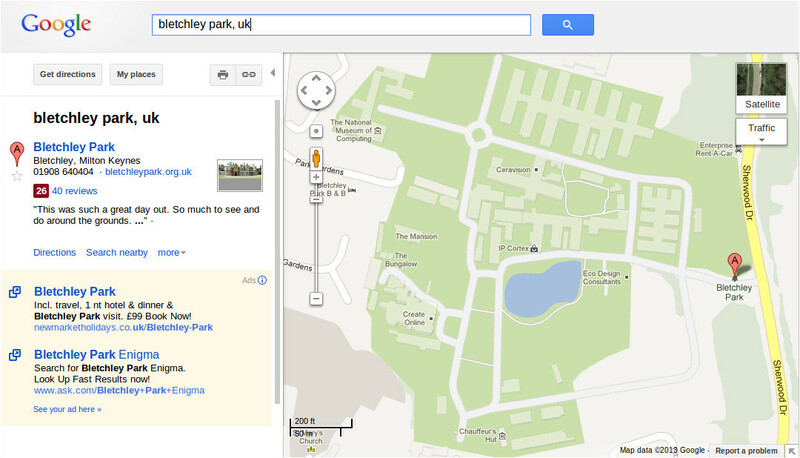 So I just type in "Bletchley Park, UK". As you can see in the above figure, Google Maps found the place, but pinned the destination (A) about 1200 ft away from the National Museum of Computing (on the upper left corner of the map). So let's refine our destination; just point with the mouse where you intend to walk to (or park) then open the contextual menu (mouse right click on Windows PC) and select "What's here?". Once you click on "What's here?" a green arrow will appear on the map and the coordinates of your point will be shown in the search bar. 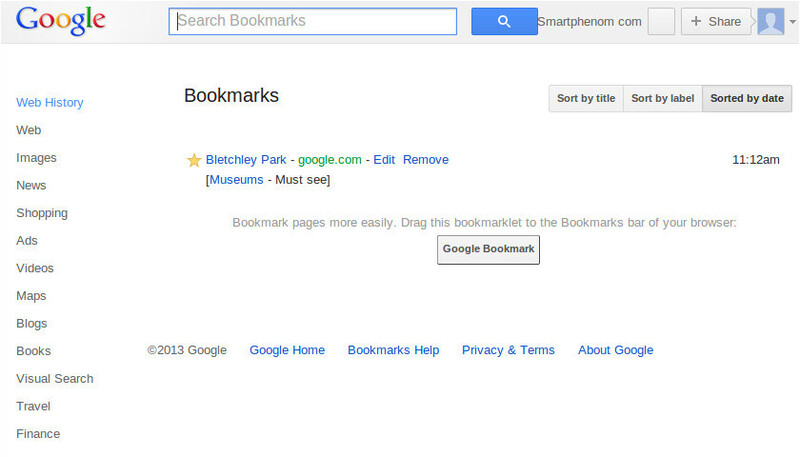 It is normal for Google Maps not to have a bookmark for the exact point you're defining, thus showing some other pinned places in the nearby ("Park Gardens" in this case). Don't worry about this; as soon as you've got a green arrow where you want to arrive, that's fine. Now that you've defined your destination, you must save it. To bookmark the place on your Google Acount, click on the green arrow with your mouse and you'll be presented with some information. 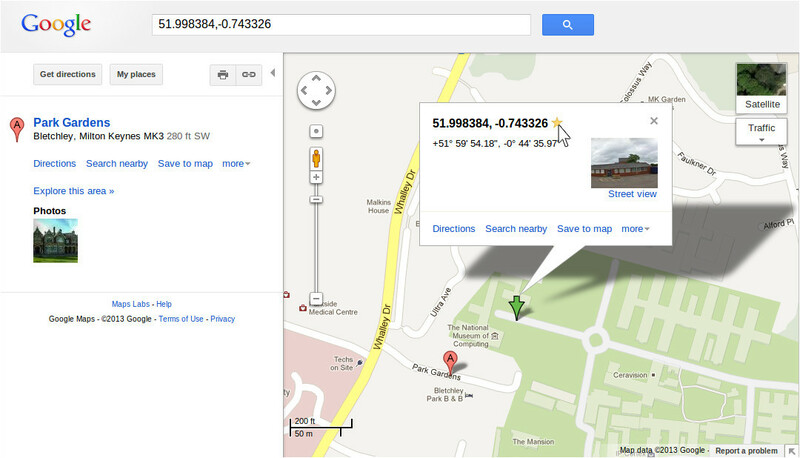 As this is a new point we've just defined, it is normal only to get the map coordinates. Next to the title of this layer (the coordinates in our case) there's a little star that we should hit to save the position. Just click on the star icon and your POI will be "starred". If it turns yellow, then it's stored. 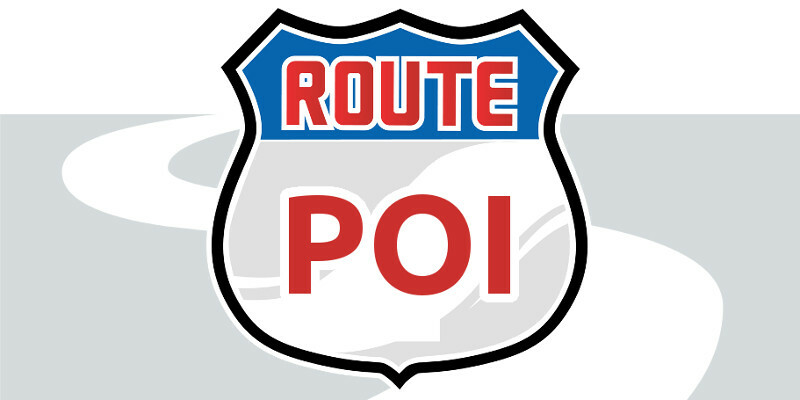 As soon as your POI is starred, it will be transferred to your smartphone (where you're using the same Google Account). You just have to make sure the synchronization is enabled on your smartphone to make this happen. If you need to add more destinations to your trip, just proceed as described (steps 1 and 2) for the rest of places on your itinerary before moving on to step 3. This step is only necessary to make the previously stored POIs more readable. The POIs are usually bookmarked using the map coordinates as the title, so you'll struggle to recognize what was behind these numbers if you leave them unchanged. 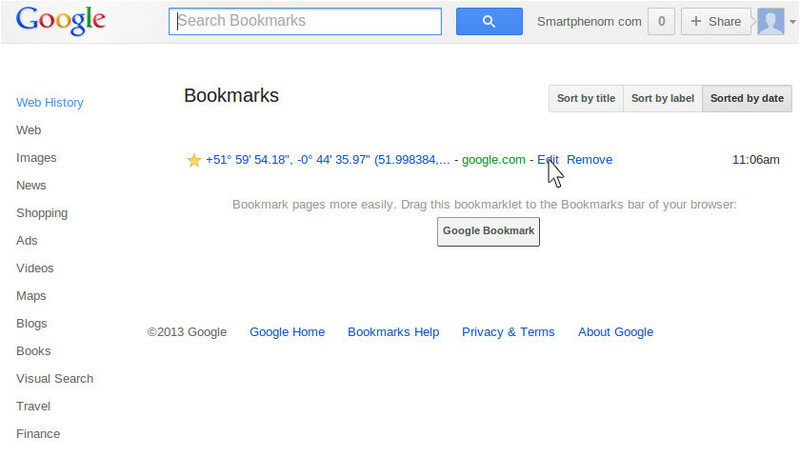 To fix this, and also to manage your entire POI collection (rename, replace, delete, etc..) just visit the Google Bookmarks page (google.com/bookmarks) and you'll be presented your list of POI bookmarks (again, you must be signed in to manage the POIs). To edit the POI details, just click on the "Edit" link next to the entry you'd like to update. You'll be presented with a form where to change the POI title together with categorization "Labels" (e.g. "Holiday") and "Notes". Once your changes are complete, click on "Save" to make them permanent. Here it is, now your destination is complete. Allow for a few seconds and the POI changes will be transferred to your smartphone, where you'll be able to browse for or navigate to. As a tip, just remember that from this bookmark page, you can display the POI in Google Maps by clicking on the POI name (i.e. "Bletchley Park" in this sample). There (in Google Maps) you can add new POIs or change the placement of an existing one (in case the location wasn't quite right). And that's it; you're now ready to go!. Was this post useful for you? 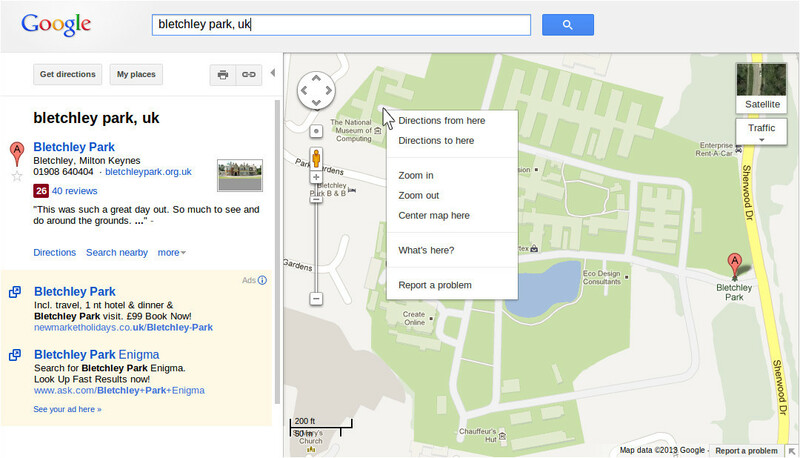 Do you know of other means of managing your Google Maps POI collection? Please have your say in the comments section and don't forget to share these tips with your friends using the social buttons below.